Have you heard the roaring of your armor and weapon? They are eager for greater power. The embedding system has been released and your equipment's eager for power can be satisfied. 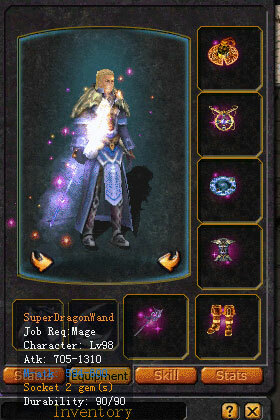 If there are sockets in your weapon, you can choose from the following gems to embed into your weapon. 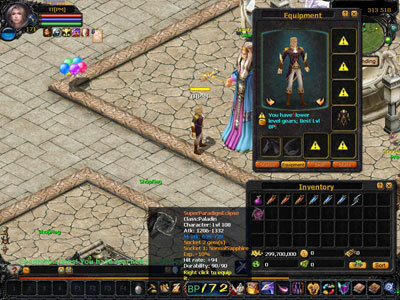 BP gem, Attack gem, defense Gem, Durability gem and EXP gem, which is your favorite? Equipment can have two sockets at the most. Your BP will increase with the number of sockets. 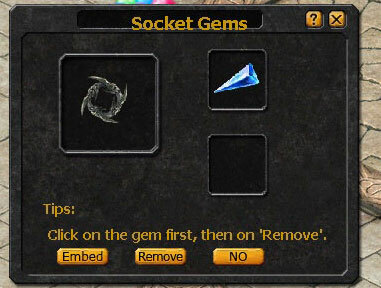 When you've got equipment with sockets, you can start the journey of collecting gems. There are five types of different gems for embedding (Each is again divided into three levels). You can either get them in battles or buy them in VIP shops. Gems can be traded and stored without being worn out. But gems that have not been embedded into equipment may drop when you die. 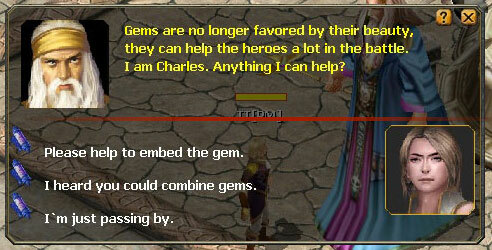 You can find Charles at the market ( 314,515 ) to embed the gems for you. He will charge you 100,000 gold for every gem embedded. Two gems can be embedded at the most. But please notice that the gem's positions are not the same. 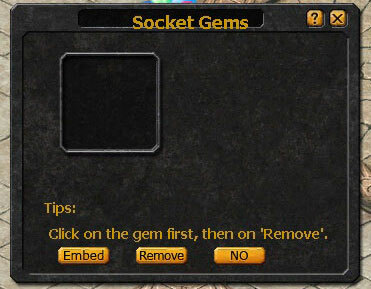 Step 1: Find Gem Socket Charles at the market ( 314,515 ). 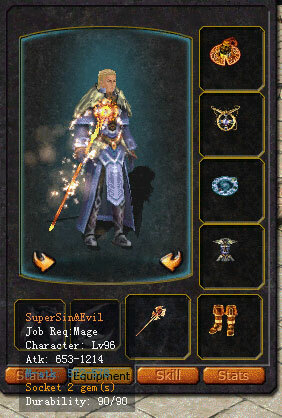 Step 2: Talk to him and choose "Please help to embed the gem". Step 3: Put the equipment in the left frame, one or two sockets will appear in the right side according to the number of sockets in the equipment. 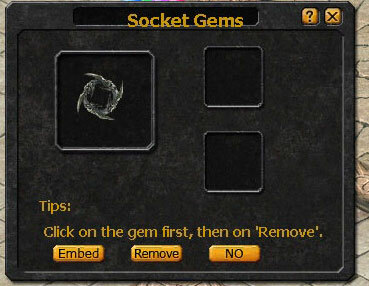 Step 4: Click the gem in the inventory and drag it to the socket. Then click the "Embed" button. 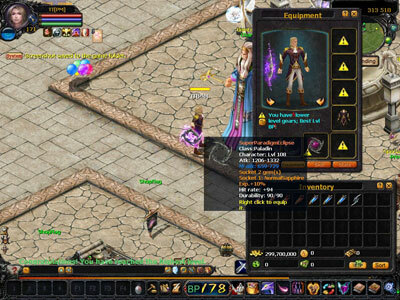 Step 5: Check the weapon in the inventory to see if the gem has been embedded.